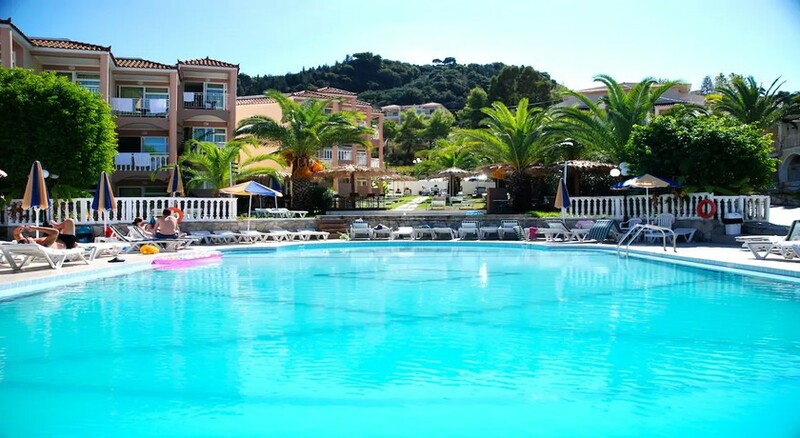 Captains-Commodore Complex Hotel is situated on the sparkling Greek Island of Zante (Zakynthos), on a hilltop overlooking the resort of Argassi with its oceanfront setting. 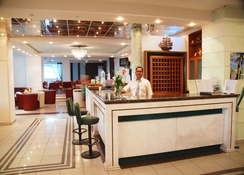 The 3-star Captains Commodore Hotel offers an All Inclusive package among its options, and has 77 rooms and self-catering studios available to guests, complemented by sparkling pools for adults and children, good dining options, a range of entertainment provided, and easy access to surrounding attractions and beach fun. 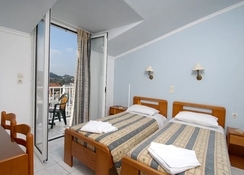 Book into the Captains-Commodore Hotel and relax and unwind in Greek style on Zante (Zakynthos) Island. Getting to the hotel: 6km to Zante (Zakynthos) International Airport. 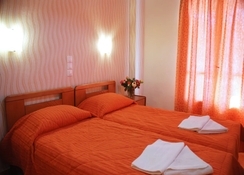 Local tips: The hotel is only 200m from Argasi centre and 350m from Argasi beach; 4km from Zakynthos town. 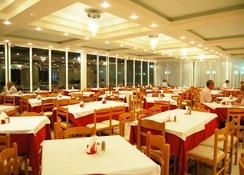 Food, drink and entertainment: Main restaurant serves buffet-style breakfast, lunch and dinner, indoor lobby bar, satellite TV area, outdoor pool-snack bar for light lunch & snacks. 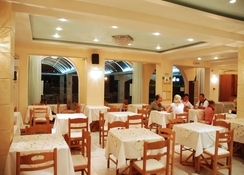 Entertainment is provided in the sister hotel Admiral (50m away) which includes Greek nights, BBQ nights, live cabaret, quizzes, bingo and karaoke nights. Sport, games and activities: Swimming pool with sun terrace & garden area, free sun beds & parasols, Jacuzzi, table tennis, pool table, and massage, manicure & pedicure on request (charge). For the kids: Children's pool and playground. Additional: 24 hour Reception Services, housekeeping, currency exchange, Doctor on call, wireless internet access in hotel communal areas, laundry service, onsite parking, and a mini market 100m away. Food is lovely.entertainment good.staff very friendly.been 3 times now.